Born in Sabadell, he joined the Barça youth system in the summer of 2005 from Jabac. That season, playing for the U19A side, he won three major trophies. In the 2006-07 season, Sergio Busquets continued with U19A and was one of the core players in the side coached by Àlex Garcia. In his third year at the level, and despite still being a midfielder, Sergio scored seven goals in 26 games. 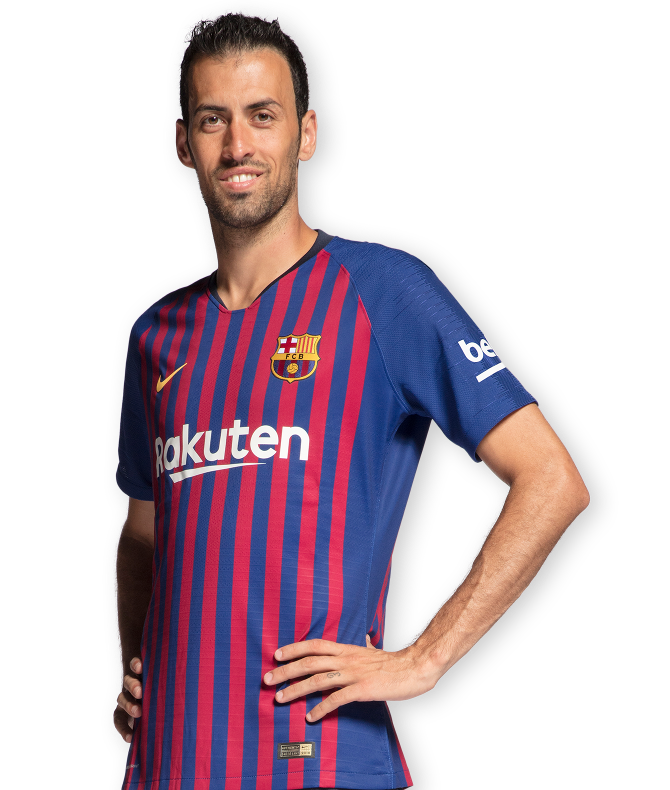 The following season, Busquets moved up to Barça B under coach Pep Guardiola, making 23 appeaarances, scoring twice, and making a major contribution to the promotion to Division 2B. 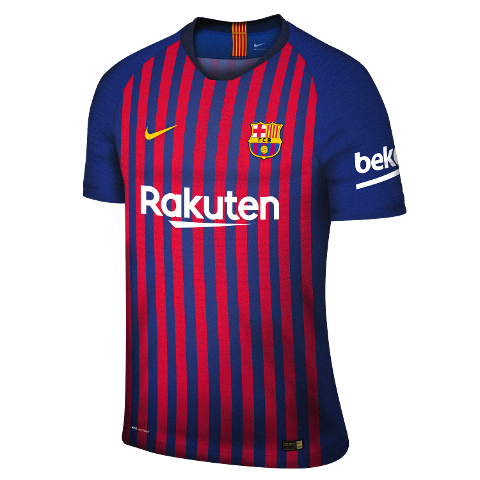 He appeared for the first team in the Copa Catalunya matches of 2007-08 and 2008-09, and gradually Busquets would get more and more chances as the season drew on, and was very much involved in the famous treble winning season. He started both the Copa del Rey and Champions League finals, thus ending an incredible twelve months in which he progressed from the third division to being a top-flight, European champion. In the 2009-10 season, he established his name as one of the most talented central midfielders on the international scene. In the 2010/11 season, he consolidated his position in midfield as the team won the Spanish Super Cup, the league and the Champions League. In 2011/2012, Sergio Busquets continued his meteoric rise and helped the team to victories in the Spanish Super Cup, European Super Cup, Club World Cup and Copa del Rey, scoring two goals in 52 appearances and establishing a regular place in the first eleven. 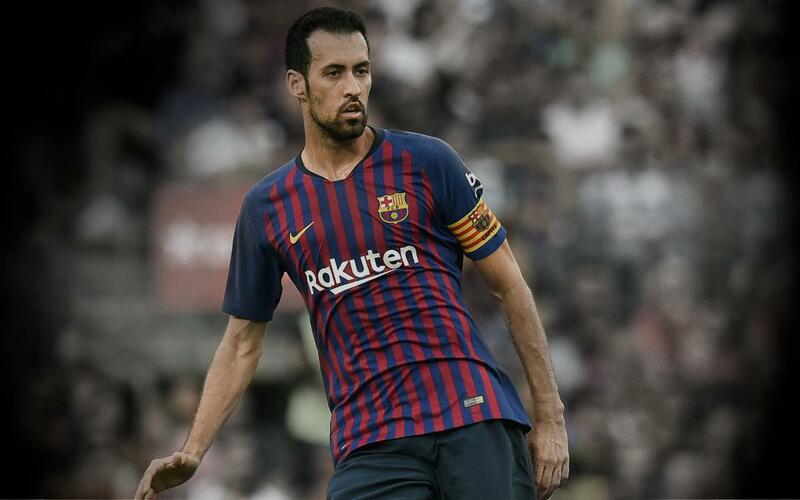 More established as a defensive midfielder, Busquets played 45 games in the 2012/13 season, helping Barça win the La Liga title with 100 points, and reaching the milestone of 200 Barça appearances. In 2013/14, Busquets continued with his midfield dominance and appeared in 48 matches. In 2014/2015, he made it to 300 career games played. That year he played 44 official matches, scoring one goal, the last minute winner against Valencia at Mestalla. After seven seasons with the first team, and coinciding with the farewell of Xavi Hernández, Busquets in the summer of 2015 went from being the fourth captain to the third captain. In 2017/18, the superstar midfielder surpassed the 450-game plateau, more than Barça legend Carles Rexach. His fine form for Barça has won him international recognition. He played his first game for Spain on April 1, 2009, at the Ali Sami Yen, against Turkey (1-2). He also played in the 2009 Confederations Cup in South Africa. Vicente del Bosque used Busquets as a starting midfielder in the side than won the country’s first World Cup in South Africa in 2010, and he also starred in the successful defence of the European Championship crown in 2012 . Busquets and Spain were runners-up at the 2013 Confederations Cup in Brazil and in Spain’s less successful bid to retain the World Cup in Brazil in 2014. Busquets also played in Euro 2016 in France and the 2018 World Cup in Russia. Busquets made his official debut for Barça on 13 September 2008 in La Liga against Racing. The match ended with a draw (1-1). Sergio Busquets is the son of Carles Busquets, who played in goal for FC Barcelona in the 1990s. The 500 Club: Do you know them all? Sergio Busquets is only the seventh player to make it a whole half-grand of appearances for the first team. Can you identify the other six?